3M is a science-based technology company committed to improving lives and doing business in the right way. Many of 3M’s historic innovations have become an invaluable part of life for people around the globe, the diversity and application of 3M’s consumer products and technologies continues to grow. 3M strive to deliver comfortable, well-designed personal protective equipment (PPE) that offers workers the most effective protection available. 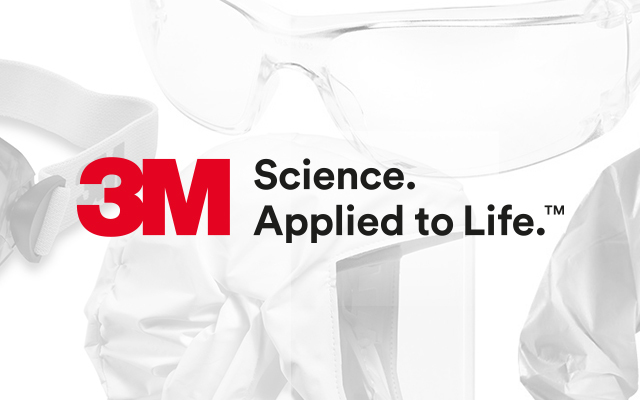 You can buy 3M Safety PPE confident in the knowledge that 3M is working hard to provide products that your employees will feel good about wearing. 3M Food Safety offers product applications to help you meet and maintain your food quality standards. 3M products deliver lower operational costs, testing reliability and offer worldwide product support.